Sweet baby girl Natalie is next up on the blog! I was excited to have another girl after a string of boys. And actually, after Natalie’s session, I photographed five boys in a row!! They are yet to be blogged, but you’ll see them here soon! 🙂 I swear I get so many baby boys, which is great. But I also REALLY love baby girls, and pulling out the pinks and purples, and the headbands and sweet girl outfits. 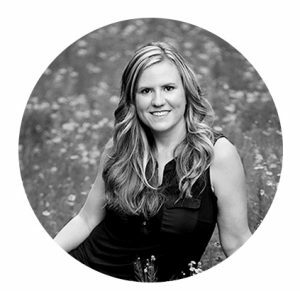 So… thanks for breaking up my boy streak a little, Natalie! Natalie’s Mom requested some purple to match their nursery, so of course I obliged. I hadn’t used purple in a while during a session, so it was nice to get to do something different! Natalie was super precious at three weeks young! So dainty and her fuzzy hair was just perfection. I used one of my favorite newborn outfits from Mia Joy on Natalie, and not only did it fit her so nicely, but it looked like it was made just for her! So, let’s get to the pictures! Here are some of my favorites from Natalie’s Raleigh baby session! I have a sweet baby boy to share with you all today! His name is Speros, which is a family name, and is SO different and neat. He had a really GREAT photo session! Speros was nine days old when I met him and was a great little sleeper and poser. I absolutely loved him on that dark blue, one of my favorite colors for boys. This sweet baby boy’s parents got in for a few shots as well, and they were so adorable. Parent shots are always included in newborn sessions at no extra charge. So be sure to capture these memories that your kids will treasure someday! Here’s a look at Speros’ newborn photo session in Raleigh, NC. This is sweet baby Emery! I was excited to see her family again because this is the second baby I’ve photographed for them! I love when my clients come back to me again and again. It’s so fun to see their lives changing and their families expanding! Emery was two weeks old for her newborn session. She had some of the best facial expressions ever. The first photo below, of her sticking her tongue out at me, was just priceless! She was very expressive!! And her session happened back around Christmas, so I used some red and put a gorgeous, festive outfit on her, which was just beautiful. She was so so cute! Here are all of my favorites from her session. Happy New Year everyone!! Time to feature a sweet newborn boy on the blog! This is baby Avery, who was just about three weeks old for his session. He was just beyond perfection. Such a great little poser, and so squishy! I could have played with him all day, but eventually I had to give him back to his Mommy and Daddy. Bummer for me! Here are aaaaaall my many favorites from Avery’s newborn session! 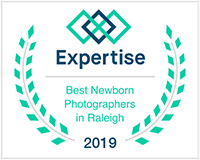 If you’re expecting in the Raleigh Wake Forest, North Carolina area and would like some photos of your newborn baby, please contact me! I can be reached through e-mail, or contact me through my contact form on my website (link below) to book your photo session. Thank you so much! Here are all of the highlights from sweet baby Penelope’s Raleigh, NC newborn session!! Sweet baby Laurel was such a delight! I photographed her in my Wake Forest studio just before my summer break (still catching up on blogging!). She was 10 days old and wide awake for a good chunk of the session. I really love a calm, awake baby for some of the session. The photos with baby’s eyes open are always the parent’s favorites! And we got quite a few of those with baby Laurel. Some of her expressions were really just priceless!!! She gave me just the right mix of being awake, and then also going to sleep for some poses. She was beautiful! Here’s a peek at Laurel’s Raleigh newborn photo session!